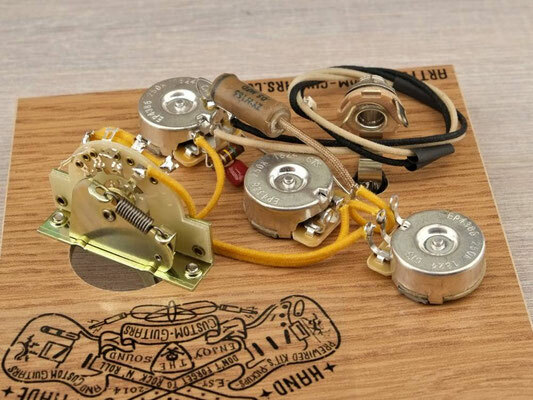 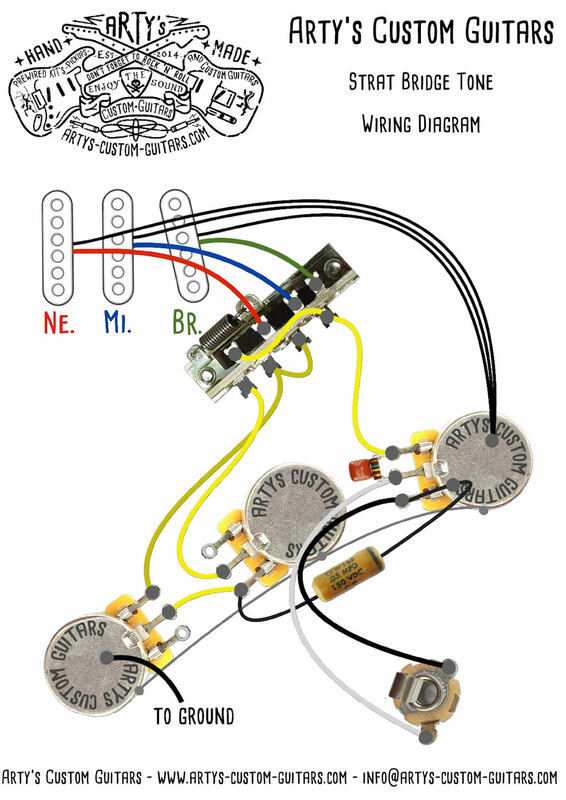 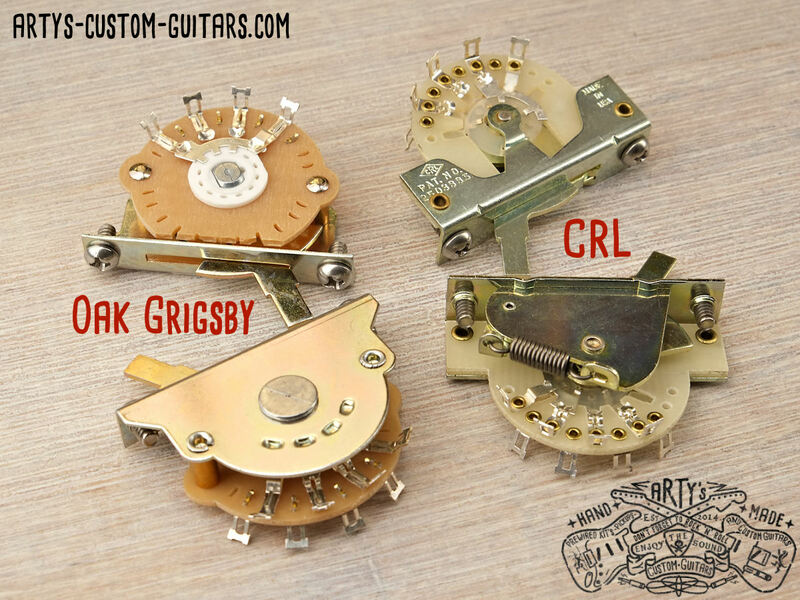 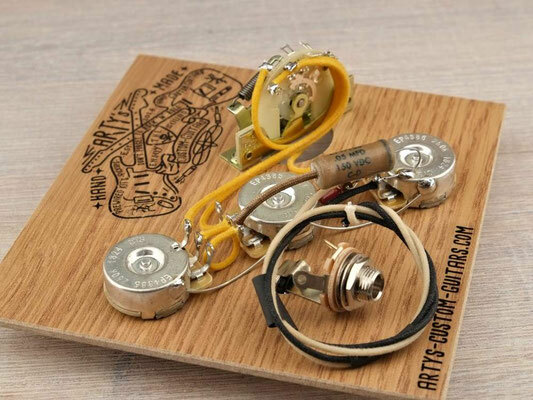 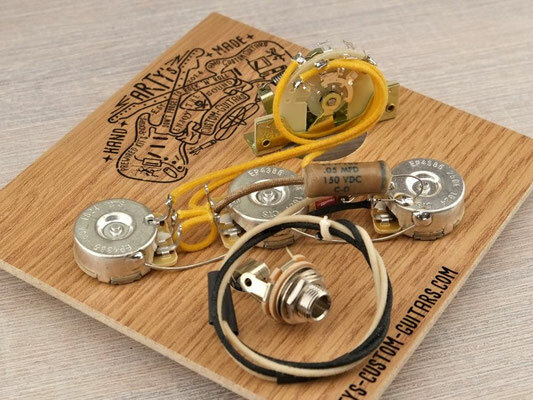 With the bridge tone control prewired kit it is possible to control the tone of all three pickups. With the usual standard circuit, the neck pickup is controlled with the first tone pickup, and the middle pickup with the second tone pickup. The bridge pickup cannot be controlled. 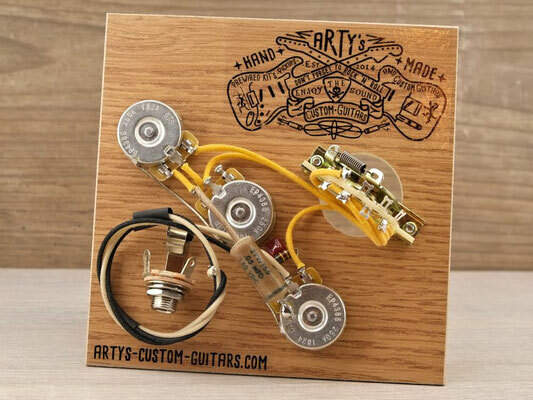 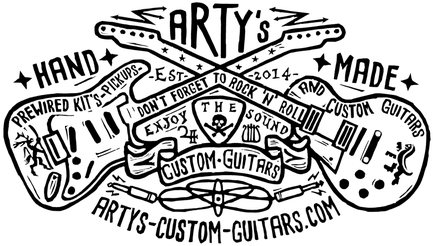 In this circuit, the neck pickup is controlled via the first tone pickup, as in the standard circuit, and together with the second tone control of the middle and bridge pickups.